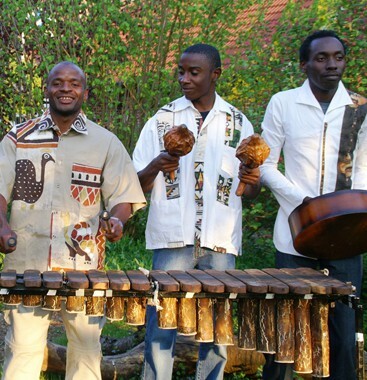 The name “Kutinya“ evolved from the fastidious and euphoric Marimba play art, which makes the listeners jump up from their seats! Nicholas Manomano (aka. 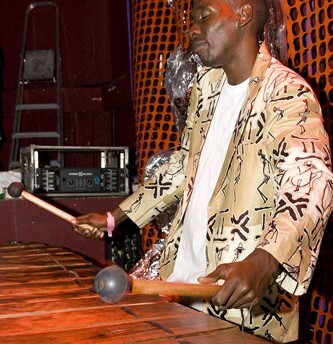 NicMan), the popular, multi-talented and great Marimba virtuoso, was born 1976 in Murehwa, an agricultural village, where he received his primary and secondary education. 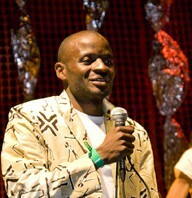 His instructing career began in 1994 at the primary school in Munamba. 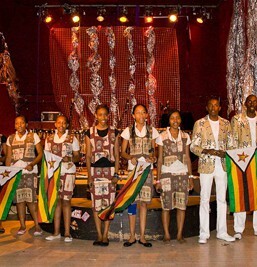 Since that time he has become one of the most respected players and tutors in Zimbabwe and Europe. 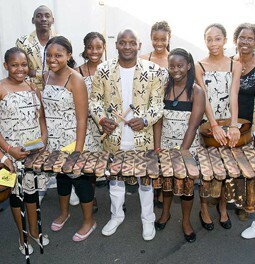 His music influenced many Marimba-bands who adopted his style of playing. 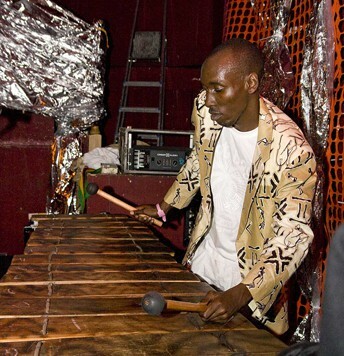 He enjoys high cultural reputation by doing different programs including the organisation of international music trips, several Marimba workshops and the large Marimba Festival which he has been organising for seven years in Harare and where approx. 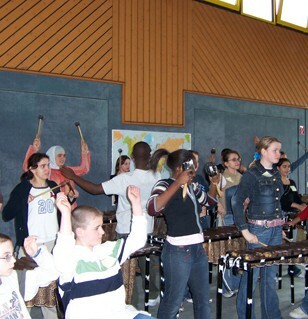 200 Marimba players take part. His ability to work in very different situations show his professional know-how. Under his direction several music students made it to the top of the Marimba play art. 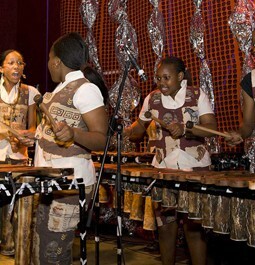 Marimba (Wooden Xylophon), Mbira (Thumb piano), Ngoma (South African bass drum) , Hosho (Kürbis rattles), Nyunganyunga /Karimba. 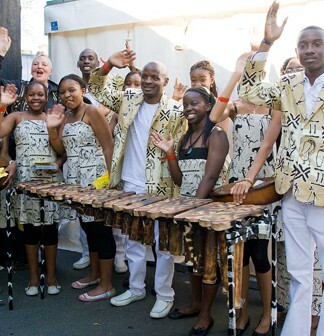 One of Nic Manomano’s greatest achievements is the foundation of the Kutinya Marimba Music Center together with the former Marimba players of the Dominican Convent and Prince Edward School. This took place in 1999. 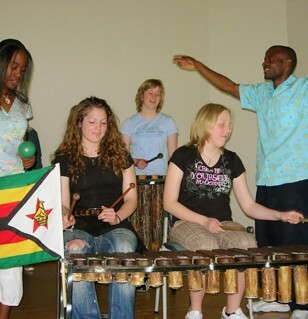 Over the years, it expanded and accommodates players from other schools such as Gateway, Harare International School and many others providing marimba tuition. 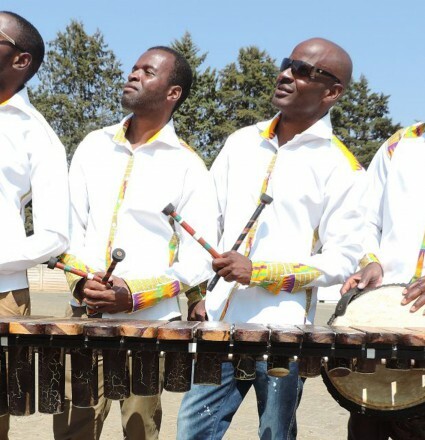 As the demand for tuition increased, the band was promoted to become a music institution whose art-work vibrated in all corners of Harare. 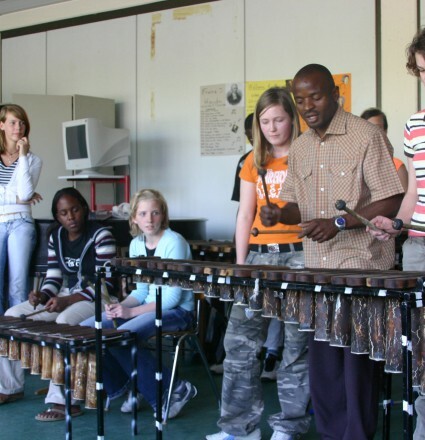 Nicholas Manomano is touring every summer with about 7 – 10 pupils at the age of approximately 15 years through Germany, France and the Netherlands and organizes workshops in schools, universities, for associations and other interested people. 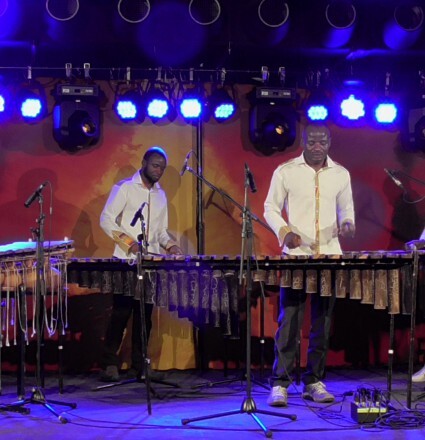 The Marimba originates from Africa. 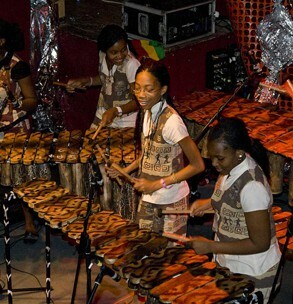 Since the medieval times numerous written and iconographic sources about the Xylophone in Africa have existed there. The oldest reference – a report of the Arab traveler Abu Abdullah Muhammad Ibn Battuta of his visit in the Kingdom of Mali – originates from the year 1352, thus a long time before the beginning of the transatlantic slave trade. is a nearly 1000-years-old music instrument from Africa. The European denomination for it is ‘Lamellophone’, although this term does not only describe Mbiras. Originally developed and played by the people of the Shona in Simbabwe and Mozambique, it’s considered as Simbabwes national instrument today. 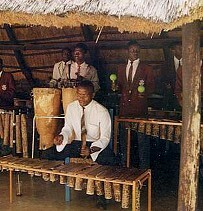 Although it’s common in all the areas of Southern Africa, only in Simbabwe the Mbira-play has developped its own art. Besides that, this instrument is said to spread out healing power.